The main eye-catching feature of Pokemon Diamond and Pearl is the touch screen. The game uses the lower screen as a display for your "Poketch," a device that sports a number of applications. These applications range from a clock, a notepad, a Pokemon happiness checker, an item finder and more. Upgrades are received from various NPCs to add to your Poketch. A few of the applications are useless (e.g. Pokemon List and Analog Clock), but many of them are useful (e.g. Berry Searcher and Pedometer). During battle, the touch screen is used to select your attacks, items, and other Pokemon. Although the D-Pad and buttons can also be used, using the touch screen is much more quick and convenient. For those new to the Pokemon experience, the game is basically this: get Pokemon, earn gym badges, defeat the bad guys, and beat the Elite Four and rival. That is the usual Pokemon game on a basic level; of course there are many more activities to perform. The primary storyline is similar to the previous games: you start a new journey in Twinleaf Town of the Sinnoh Region, and you meet a professor who lets you have a Pokemon (fire-type, grass-type, or water-type). From there, you proceed to other towns and beat the gym leaders for gym badges. Along the way, you defeat Team Galactic and help random NPCs. Former players will notice a graphical upgrade; the game uses 2D sprites with simple 3D geometry for buildings and geographical features. The visuals aren't overwhelming, but they are refreshing for returning players. Battles, however, look identical to the GBA versions, so it's somewhat disappointing. Besides the low quality of some Pokemon cries, sound isn't an issue; especially not the catchy and enjoyable background music. Online multiplayer requires a Wi-Fi connection. As with all Nintendo Wi-Fi games, Pokemon Diamond & Pearl requires friend code trading to trade or battle opponents over the Internet. But once that is over with, trading and battling is the same as local multiplayer. Voice chat is also an option with the new Nintendo DS headset, but this can only be done with friends. A great feature of Pokemon Diamond and Pearl is Jubilife City's Global Trade Station. It allows you to place your Pokemon available for trade with anyone connected to Wi-Fi. You can also look for Pokemon you would like (provided you have seen the Pokemon in-game before) and specify their levels and gender as well. The core Pokemon experience holds up after 9 years of existence. Pokemon has received many new additions since Red and Blue's release, and it looks like the series is only getting better. Iwata will no doubt bathe in money with the sales from Diamond and Pearl. 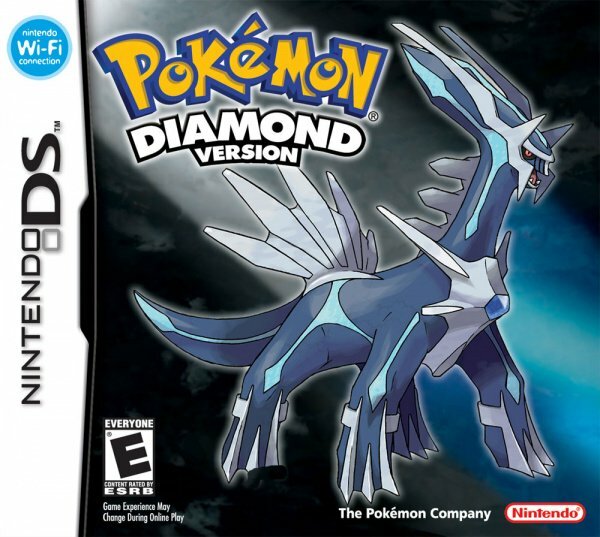 These are the greatest Pokemon games ever created, and all Pokemon fans should get one of the two versions immediately. I do agree about the visuals, the battles do look like the GBA versions. Still, there seems to be quite a chunk to this game, and I think players should be occupied for quite a while. i cant believe that the pokemon series has lasted this long and it is still a great series. Excellent review. This has kept me off the Wii it's so good. I got it August this year and I've almost completed it. I'll probably start a new game and be hooked for another few months after that! I like pokemon,but im not obsessed. this is a pretty cool review. @ShadowDX1 - this is pokemon's lowest point, nothing to keep me going after a while, just got dull, I beat the story in about 23 hours over two, three days and the game afterwards did not have much, it's not even worth playing now that better ds and 3ds games are out. Which is horrible, the story wasn't as good as the other games, the new pokemon do not fell that blanaced, as in fair, Dailga used roar of time, "it's a one hit K.O. ", also the game is slow. 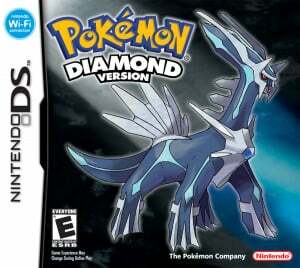 It' not a bad game just not as good as other pokemon games. According to this site's scoring it's about 7, maybe 8. Until now I've mainly been an Action RPG kinda guy (Going so far as being a strategy RPG being a game-breaker for me) but this game really changed that and was never really "Boring" only slower at points that required a grind (And all the grinding was really optional).